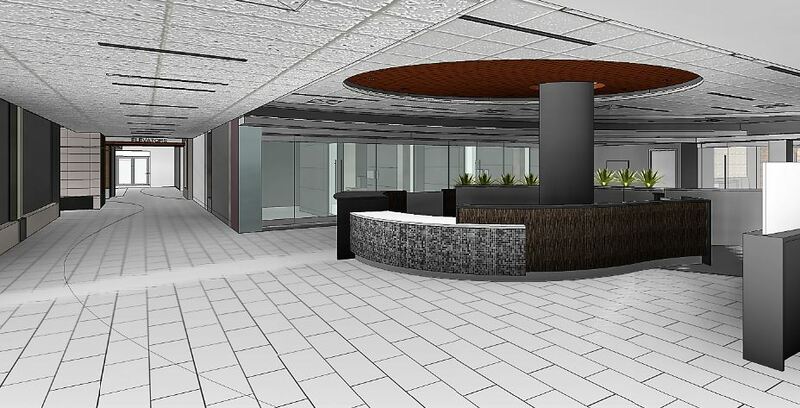 A major renovation of Christian Hospital’s main lobby, which includes high-end custom case work, specialty glass and tile installation, and unique wood-look plank ceiling features, is scheduled to be completed by Kadean Construction in October, it was announced today. The 10,500 sq. ft., $2 million renovation of the hospital, located on Dunn Road near Highway 367 and Interstate 270 in unincorporated St. Louis County, will improve aesthetics and flow, making a more welcoming space for patients as they enter the hospital, said Project Manager Travis Mulder, who oversees Kadean’s medical construction work. Mulder said in order for construction to begin last March, Kadean had to prepare a temporary entrance and registration area on the east side of the hospital. “That’s typical of our hospital work so that the flow of patient care continues uninterrupted,” Mulder said. The architect on the renovation is St. Louis-based Lawrence Group and the MEP/FP engineer was Heideman & Associates, Mulder said, adding that the work has kept Kadean’s 25 subcontractors and suppliers busy on site. As a founding member of BJC HealthCare, Christian Hospital was established in 1903 and is an accredited, full-service medical center that provides world-class medical care to residents throughout the greater St. Louis area and Southern Illinois. The renovations are part of a $60 million initiative called “Christian Hospital 2020,” which includes transitioning to all private patient rooms; a $2.7 million lab equipment upgrade; a $1 million investment in a new ambulance fleet; converting to a new $16 million universal electronic medical record system; opening two new health centers; and, other improvements designed to ensure the best patient experience. Christian Hospital opened at its current location in September 1975 and is located six miles east of Christian Hospital’s Northwest HealthCare campus, at Graham Road and Interstate 270 in Florissant, which recently broke ground for a new $26.3 million Siteman Cancer Center. 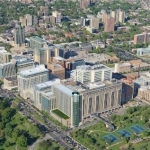 Siteman Cancer Center, which is based at Barnes-Jewish Hospital and Washington University School of Medicine, is scheduled to be completed by December 2019. The nearly 37,000-square-foot facility will feature state-of-the-art technology, including a new linear accelerator to deliver radiation therapy. 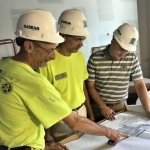 Founded in 1963, Kadean Construction has become one of the Midwest’s most successful construction companies, specializing in design-build, construction management, and general contracting for a diverse set of major clients in the health care, industrial, commercial, office, senior care, and multi-family industries. Kadean also opened its Kansas City, MO office earlier this year to better manage the company’s construction work in that region, and to capitalize on new opportunities in Western Missouri and Eastern Kansas. 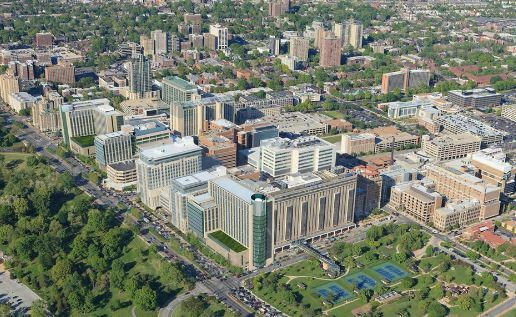 In recent years, Kadean has undertaken major construction projects for BJC HealthCare at Barnes Jewish Hospital, St. Louis Children’s Hospital, Missouri Baptist Medical Center, Siteman Cancer Center, and other major medical facilities in the St. Louis area. It also has built ambulatory surgical centers in Missouri, Kansas, Indiana, Michigan, Florida, Wisconsin, and Pennsylvania, and first-class independent and assisted senior living and memory care residential complexes in the St. Louis and Kansas City areas. 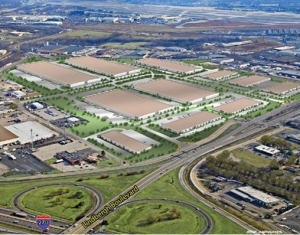 Kadean’s largest projects in recent years are massive tilt-up distribution, warehousing, and logistics centers – some measuring more than 18 acres under roof – including buildings in Aviator Business Park, near Lambert St. Louis International Airport in Hazelwood, MO, the Lakeview Commerce Center in Edwardsville, IL, and KCI Intermodal BusinessCentre in Kansas City, MO. Kadean Construction is baking-up a hot new project that will bring hand-crafted pizzas made in wood-fired ovens to the heart of Clayton. Fenton-based Kadean Construction is building-out Missouri’s first Peel Wood Fired Pizza restaurant, which will be in the Two Twelve building, 212 South Meramec Avenue in Clayton. Peel Wood Fired Pizza, which currently has two restaurants in Edwardsville and O’Fallon, IL, plans to open its 8,200 sq. ft. Clayton restaurant later this summer. It will be on the first floor of the 26-story Two Twelve tower, which will have 250 luxury apartments on 20 floors with a roof-top pool deck, lounge, rec-room, and fitness center, and five floors of parking. Nesselhauf said the new restaurant, designed by Gray Design Group in Maplewood, will have interior seating for 245 and three wood-fired pizza ovens to handle the anticipated customer volume. Peel Wood Fired Pizza is best known for creating its pizzas and other entrees using a wood-burning oven that heats to over 800 degrees. This style of cooking gives the food a unique flavor and has earned the business accolades from many St. Louis food critics. Peel Wood Fired Pizza Co-Owner Chef, Patrick Thirion, said their new location will offer customers the same distinctive entrée options along with some new, exciting menu items. Nesselhauf said the custom finishes and restaurant design presented some unique and exciting construction challenges, such as the specially designed coffered ceilings in the large private dining room. Kadean’s also building a second, smaller private dining room in addition to the restaurant’s open seating. Nesselhauf explained that Peel Wood Fired Pizza Co-Owner Chef Brandon Case knows another Kadean executive and casually asked if the company would be interested in bidding on the work, even though it is quite different than most of Kadean’s large industrial, healthcare or senior living projects. “We said ‘yes, absolutely,’ submitted our bid, and were proud to win this unique project,” he said. So far, Kadean has employed as many as 40 daily workers on the Clayton job site, including electricians, carpenters, plumbers, and other trades. 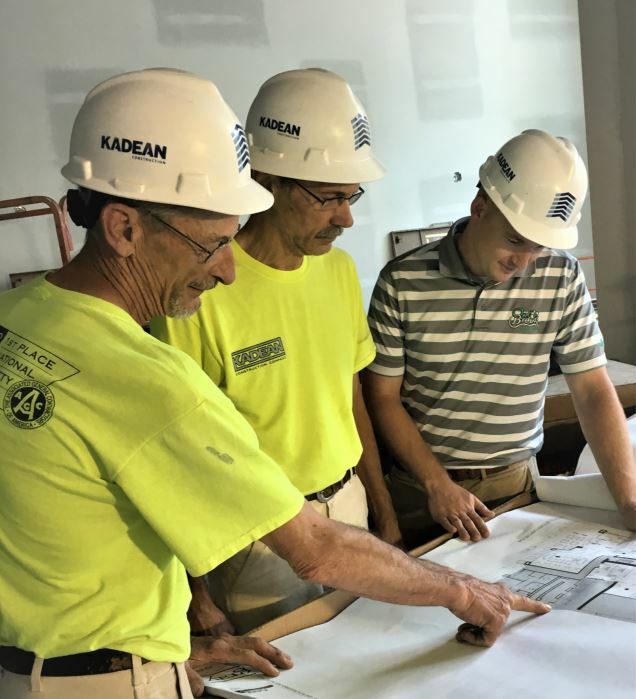 Kadean Construction was founded 55 years ago, and specializes in design-build, construction management, and general contracting in the medical, retail, commercial, and industrial sectors. It has undertaken major construction projects in recent years for BJC Healthcare, Missouri Baptist Medical Center, Siteman Cancer Center, and other major medical facilities. The company also has built ambulatory surgical centers in Missouri, Kansas, Indiana, Michigan, Florida, Wisconsin, and Pennsylvania, and high quality independent and assisted senior living and memory care residential complexes in the St. Louis and Kansas City areas. Kadean’s largest construction projects are large tilt-up distribution, warehousing, and logistics centers in Aviator Business Park, Hazelwood, MO, the Lakeview Commerce Center in Edwardsville, IL, and KCI Intermodal BusinessCentre in Kansas City, MO. Kadean Construction is building a new ambulatory surgical center, which will be named Advanced Surgical Care of St. Louis, in the Mayfair Plaza Shopping Center near Parker Road and Highway 367 in North St. Louis County, it was announced today. The new surgical center located at 232 Mayfair Plaza will have two surgical suites, a procedure room, a treatment room, a clean room, a waiting area, two private recovery rooms, and six recovery bays. The company will perform a range of outpatient surgical procedures, from minor operations to knee and hip replacements. The project also includes the installation of new plumbing, mechanical, fire protection, and electrical systems including a back-up emergency generator, said Kadean President Mike Eveler. Advanced Surgical Care of St. Louis is an affiliate of SurgCenter Development, which operates 110 surgical centers around the country, and serves nearly 190,000 patients a year. Kadean Construction, one of the fastest growing and most successful construction companies in the greater St. Louis area, specializes in pre-construction, design-build, construction management, and general contracting in the medical, retail, commercial, and industrial sectors. In addition to building surgical centers in the St. Louis area, it has built or is constructing new surgical centers in Missouri, Kansas, Indiana, Michigan, Florida, Wisconsin, and Pennsylvania. The company’s healthcare division has also undertaken major building and renovation projects in recent years for BJC HealthCare at Barnes Jewish Hospital, Missouri Baptist Medical Center, Siteman Cancer Center, and other major medical facilities. Expanding its medical and senior living construction work is part of Kadean’s continuing growth strategy, Eveler said. 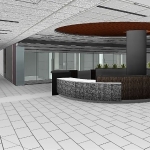 Kadean Construction has completed a $4 million renovation for the Washington University School of Medicine in St. Louis’s Department of Anesthesiology at the BJC Healthcare campus, it was announced today. Kadean completed the 20,700 square foot project, which included construction of 96 doctors’ offices in the historic Peters Building, near Euclid and Barnes-Jewish Hospital Way, in the city’s Central West End said Kadean President Mike Eveler. The project, which took roughly six months to complete, required gutting two floors and constructing new private and shared offices, along with conference and support space for anesthesiologists and other physicians, Eveler said. It also included a complete upgrade of all electrical, plumbing, fire protection, HVAC, and mechanical systems serving the new office space. Kadean Construction, one of the fastest growing construction companies in the St. Louis area, specializes in pre-construction, design-build, construction management, and general contracting services in the medical, senior living, retail, commercial, and industrial sectors. 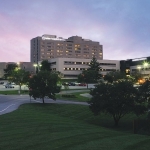 In addition to undertaking major construction projects in recent years for BJC Healthcare at Barnes Jewish Hospital, Missouri Baptist Medical Center, Siteman Cancer Center, and other major medical facilities, Kadean also has built ambulatory surgical centers in Missouri, Kansas, Indiana, Michigan, Florida, Wisconsin, and Pennsylvania, and high quality independent and assisted senior living and memory care facilities in the St. Louis and Kansas City regions. 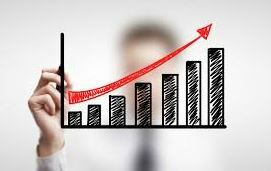 Logistics centers – or LogisticsCentres – are going up fast as eCommerce and favorable consumer buying trends change the face of retail across the U.S. and around the globe. Kadean Construction has been tapped by developer Trammell Crow Company to construct a new 202,800 square foot building at KCI Intermodal BusinessCentre, a major distribution and logistics park adjacent to Kansas City International Airport in Kansas City, MO, it was announced today. The new $7.5 million tilt-up building – known as LogisticsCentre III – will be a modern, multi-tenant, front-load warehouse/distribution facility that incorporates sustainable design and construction features. It will have 31 docks, a 32-foot high ceiling, and will be constructed with a structural steel frame, steel-reinforced concrete walls, and a seven-inch thick reinforced concrete floor. “This project has been through permitting and we have started on earthwork and building pad preparation,” said Mike Eveler, president of St. Louis-based Kadean Construction, which specializes in light industrial, commercial, senior living, and healthcare construction. LogisticsCentre III will be located next door to LogisticsCentre II, a 423,928-square foot distribution center, and near LogisticsCentre IV, a 432,640-square foot distribution center, both of which also were constructed by Kadean, said Josh Moore, Kadean’s Project Manager in Kansas City. St. Joseph, MO, provides a variety of logistic solutions in warehousing, packaging, fulfillment, distribution, and market development. Moore said Kadean’s construction work at the KCI Intermodal BusinessCentre is similar to its projects at Aviator Business Park in Hazelwood, MO, and the Lakeview Commerce Center in Edwardsville, IL, where it has constructed five light industrial buildings ranging in size from 78,000 to 770,000 square feet. It currently is constructing a second 770,000-square foot building at the Lakeview Commerce Center. Kadean Construction, named one of the fastest growing companies in the St. Louis region two years in a row by the St. Louis Business Journal, specializes in pre-construction, design-build, construction management, and general contracting at the regional and national level. Capitalizing on a growing trend in healthcare, St. Louis-based Kadean Construction has just completed three ambulatory surgical centers (ASC) in Kansas and Wisconsin, and is starting construction on two more centers in Michigan and Indiana, the company announced today. All five centers are being built for Towson, Maryland-based SurgCenter Development, a corporation that partners with local surgeons to create physician-owned and operated ambulatory surgical centers (ASC). 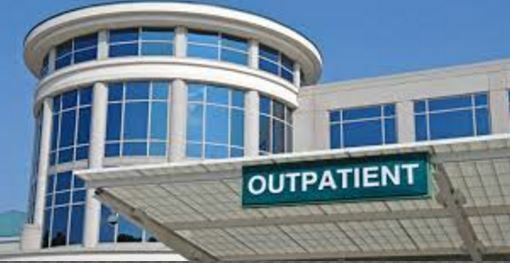 The Overland Park Surgical Suites is in Overland Park, Kansas, a suburb of Kansas City, while the other two recently completed centers are located in Milwaukee and Pleasant Prairie, Wisconsin. The Overland Park facility is nearly 7,500 sq. ft. and located in a multi-tenant building; the Milwaukee Surgical Suites is in a single-user building totaling nearly 7,400 sq. ft.; and, the Pleasant Prairie facility – called the North Shore Surgical Suites – is nearly 7,100 sq. feet. The two newest centers that Kadean is constructing are in Zeeland, Michigan, and Munster, Indiana. Both will be in the 7,000 – 7,500 sq. ft. range, Eveler said. SurgCenter has developed 177 ASCs with approximately 1,250 physicians throughout the United States, said Dr. Stacey Berner, principal, CEO, and managing partner, of SurgCenter Development. He said advancements in surgical technique and pain control enable doctors to perform what was once a very complex procedure in a few hours, and offer hip and knee replacement patients a shorter recovery time, usually in the comfort of their homes. Dr. Berner said more than 96 percent of the joint replacement patients treated at SurgCenter Development facilities were discharged the same day. Following an average four-hour recovery, 94 percent of hip replacement patients and 97 percent of knee replacement patients went home the same day. The readmission rate from joint replacement procedures was less than 1 percent, he added. Kadean, which was recently named one of the “Fastest Growing Companies” in the St. Louis region by the St. Louis Business Journal for the second year in a row, previously built four other ASCs for SurgCenter Development in Grand Rapids and Lansing, Michigan, and Ocala and Hollywood, Florida, Eveler said. Construction of ASCs is part of Kadean’s continuing growth strategy in its medical construction division, which includes major medical center construction and renovation, Eveler said. Two of Kadean’s most recent medical construction projects include the completion of the $13.1 million expansion of the Siteman Cancer Center, a state-of-the-art outpatient treatment facility at Barnes-Jewish St. Peters Hospital in suburban St. Louis, and a multi-million-dollar expansion of two floors of patient rooms at Missouri Baptist. The company also is constructing independent and assisted senior living facilities in Sunset Hills and Independence, MO, Eveler said. Kadean also specializes in pre-construction, design-build, construction management, and general contracting in the commercial and light industrial sector. 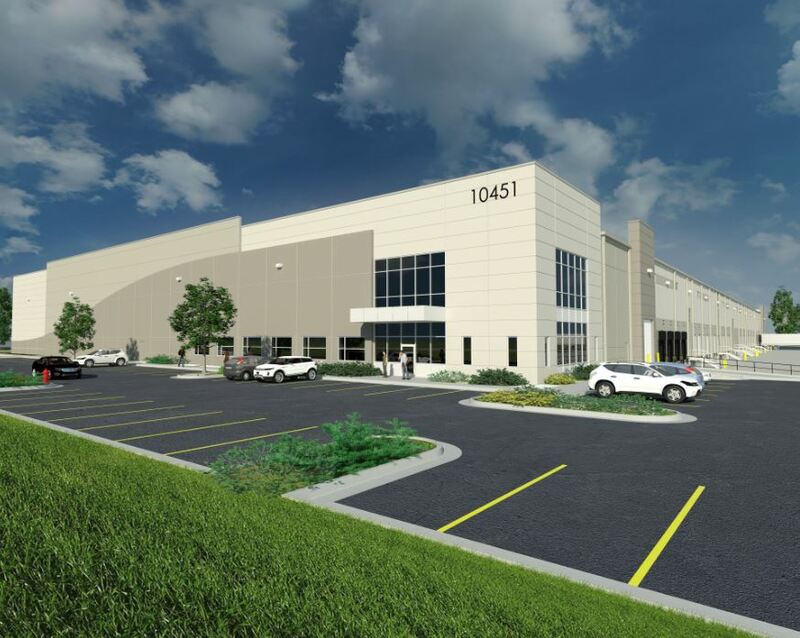 It is currently completing its fourth tilt-up distribution warehouse facility in the Aviator Business Park, near St. Louis-Lambert International Airport, for Panattoni Development. Kadean also is preparing to start constructing two commercial distribution warehouse buildings at the Lakeview Commerce Centerin Edwardsville, IL, and KCI Logistics Center in suburban Kansas City, MO. Continuing its growth strategy, Kadean Construction has been named one of the “Fastest Growing Companies” in the St. Louis region by the St. Louis Business Journal for the second year in a row, it was announced today. Kadean, which specializes in pre-construction, design-build, construction management, and general contracting, was ranked 10th among the 50 fastest growing companies in the St. Louis area, based on their three-year revenue growth. St. Louis-based Kadean’s annual revenue has increased from roughly $21 million in 2014 to more than $61 million in 2016, said Mike Eveler, president of Kadean Construction. Last year, the Business Journal saluted Kadean for being among the 20 Fastest Growing Companies in the St. Louis region. Today’s rankings recognize the 50 companies throughout the St. Louis region that have shown the greatest revenue growth over the past three years. Eveler said Kadean is continuing its growth trajectory in 2017 with a range of healthcare, senior living, commercial, and light industrial projects underway in Missouri, Illinois, Michigan, Wisconsin, and Kansas. He added that Kadean’s revenues could hit $80 million by the end of this year. Two of Kadean’s most recent projects include the completion of the $13.1 million expansion of the Siteman Cancer Center, a state-of-the-art outpatient treatment facility at Barnes-Jewish St. Peters Hospital in suburban St. Louis, and construction of its fourth light industrial building in the Aviator Business Park in the City of Hazelwood, near St. Louis-Lambert International Airport. Kadean Construction has been tapped by Panattoni Development to construct its fourth light industrial building in the Aviator Business Park in the City of Hazelwood, one mile north of the St. Louis-Lambert International Airport, it was announced today. The 548,000 square foot, concrete, tilt-up building, which will cover 13 acres under roof, will have a clear height of 32 feet, and a total of 82 loading docks – 40 on the north side and 42 on the south – side, said Mike Eveler, president of Kadean Construction Co., which is based in suburban St. Louis. Construction of the building will begin immediately, and is due to be completed by mid-August, said John Piedimonte, Kadean Vice President of Pre-Construction. The building will be constructed with a structural steel frame and nine-inch thick, steel-reinforced concrete walls, and a seven-inch thick, concrete floor. It also will have an early suppression, fast-response (ESFR) fire protection system, LED lighting, and other amenities, Piedimonte said. Aviator 10 will be the fourth Kadean-built structure in the 155-acre business park, which is served by Norfolk Southern Railroad and provides easy access to interstates 70, 270, 64, 44, 55 and other area highways. Kadean also built Aviator 3, 4, and 7, most of which are fully occupied. More space is available for a half-dozen smaller commercial or light industrial facilities on the site as well. Aviator 10 is currently listed as a “spec” building, although Panattoni is in discussions with a variety of potential tenants, said Panattoni Development Partner Mark Branstetter, of St. Louis, who oversees development for the company in Missouri, Illinois and Indiana. Kadean Construction, named one of the fastest growing companies in the region by the St. Louis Business Journal, specializes in pre-construction, design-build, construction management, and general contracting at the regional and national level.